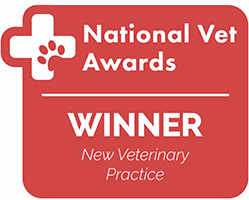 County Equine and County Canine, a veterinary practice based in London, was named the Best New Veterinary Practice in the United Kingdom after having won the National Veterinary Awards. This category celebrated practices that opened less than 5 years ago, recognising the challenges of opening a new business and establishing a loyal clientele. County Equine/County Canine was chosen among 6 finalists from all around the UK and received the largest number of votes from the public. ‘I am absolutely thrilled to have been made the winner in this category. To have been recognised for the innovation and hard work to develop a practice combining traditional veterinary medicine and values alongside additional therapies to improve the overall performance and quality of life of the animals I see is just the icing on the cake! 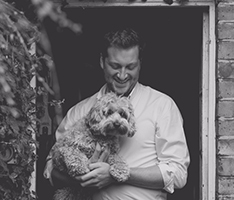 It’s been a steep learning curve but it has been worth it’, said celebrated veterinary surgeon, Dr Marvin Firth MRCVS. 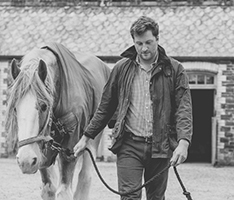 The practice covers the South of England, London and Europe looking at both horses and dogs. Other than Dr Firth’s extensive veterinary medical knowledge, the practice also offers unique treatments such as chiropractic, acupuncture, physio and laser therapy to assist animals that compete in professional sports or even those with aches and pains, helping dogs and horses that are getting older or are recovering from surgery. The National Vet awards invited veterinary professionals and practices from the entire country to submit their entries. A panel of judges selected 70 finalists and winners were decided based on a public vote. The competition received over 7800 votes with winners in 10 different categories.